The welcome announcement on Thursday of the appointment of Dr Seswantsho Godfrey Lebeya to head the Directorate for Priority Crime Investigation (the Hawks) comes at a critical juncture in turning the tide of the endemic corruption of the Zuma years. Lebeya, once sidelined by former SAPS National Commissioner Riah Phiyega, is highly respected but will have his work cut out for him rebuilding a directorate eviscerated by his predecessor, Berning Ntlemeza. Former Crime Intelligence boss Richard Mduli may have been put out to pasture with a handsome stash of cash, including around R8.3-million he earned while on suspension since 2011, but traces of his ruinous tenure still linger. But hopefully not for very much longer. The announcement on Thursday of the appointment of Advocate Seswantsho Godfrey Lebeya as head of the dangerously declawed DPCI has sent a ripple of fear through the WhatApp group of former Zuma cronies, the people who have wreaked havoc in the criminal justice system. It was because of Mduli, who was close to Jacob Zuma, that Lebeya was sidelined by Phiyega in 2014 while he oversaw an internal investigation into maladministration in the Crime Intelligence (CI) division. Lebeya was appointed as a deputy commissioner during Bheki Cele’s time as Police Commissioner in 2011. Phiyega first demoted Lebeya and then fired him. Lebeya later won a settlement when Phiyega’s action was deemed illegal by the labour court. Lebeya, along with Bheki Cele, Gauteng provincial police commissioner Mzwandile Petros, and then Hawks head Anwa Dramat, were all named by Mdluli in a 2011 letter to Jacob Zuma accusing the officers of colluding to unseat him as head of CI. In the same letter Mdluli told Zuma that “in the event that I come back to work, I will assist the President to succeed next year”. Mdluli faced fraud and corruption charges related to the abuse of a massive crime intelligence division slush fund for private benefit, including buying luxury cars. Phiyega refused to declassify crucial evidence in the Mdluli matter. The NGO Freedom Under Law said that the failure by Phiyega to declassify the documents had allowed Mdluli to “get away scot-free both at SAPS and in a court of law”. 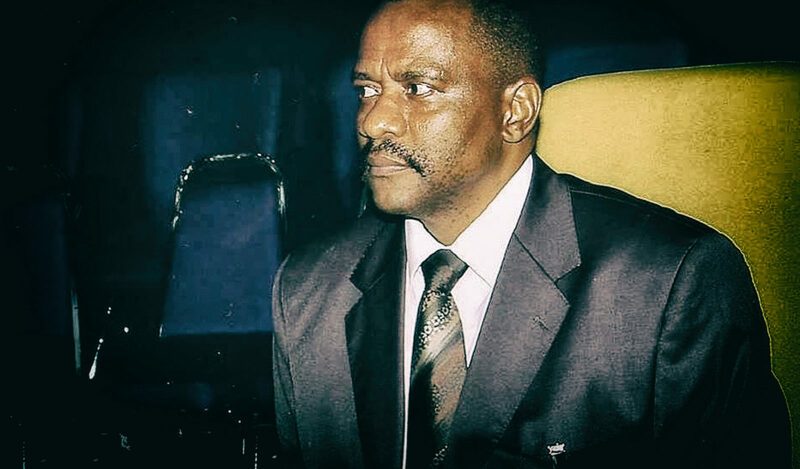 Former Gauteng Hawks head Shadrack Sibiya, tasked by Lebeya to investigate the murder of Oupa Ramogibe, who allegedly had an affair with Mdluli’s former partner, Tshidi Buthelezi, said the investigation had later cost him his job. Mdluli and his co-accused, former police officer Mthembeni Mthunzi, faced charges of intimidation, kidnapping, assault with the intent to commit grievous bodily harm and defeating the ends of justice. These as well as the other charges relating to the CI slush fund were later withdrawn by acting NPA head Nomgcobo Jiba (who was struck off the advocates roll in 2016). The charges against Mdluli were later reinstated in 2015 following a ruling by the SCA. In 2015, Lebeya was one of five candidates who made it to the initial shortlist of possible new heads of the DPCI. The short-listing panel was chaired by then Minister of Police Nathi “Firepool” Nhleko and consisted of Justice Minister Michael Masutha, State Security Minister David Mahlobo, Deputy Police Minister Maggie Sotyu and senior Hawks officer Major-General Yolisa Matakata, who was later appointed acting head of the DPCI. The desperately under-qualified Berning Ntlemeza, who was not on the shortlist, was catapulted into the job by Nhleko, who then took more than a year to inform Parliament that he had given the Ntlemeza the job. Ntlemeza immediately set about eviscerating the directorate of qualified senior staff. He was also responsible for suspending Sibiya in 2015, which was later declared unconstitutional and invalid. Ntlemeza was finally given the boot by Minister of Police Fikile Mbalula in 2017, bringing to an end a shameful and disastrous two years for the DPCI, during which it also hounded then finance Minister Pravin Gordhan on trumped-up charges relating to the SARS “rogue unit”. Since then, the chickens hatched during the industrial-scale corruption of the Zuma State Capture years are now finally coming home to roost. The rot is deep and has spread to all levels of society from Prasa, Sassa, Eskom, SARS, Home Affairs and Denel to municipalities, brought to the brink of collapse by corrupt officials and political cronies. In the private sector, thieves – from Steinhoff to Trillian – too have lined their pockets with other people’s money while the Hawks were off circling political opponents of Jacob Zuma. Cash-in-transit heists are at a record high. Violent crime too has spiked alarmingly as SAPS resources have been redirected by the corrupt and the venal. “We’re swamped,” a harried senior Hawks official recently whispered, scurrying to a parliamentary committee meeting probing corruption and fraud by state-employed officials. In a nutshell, it’s a mess that will need a new broom and copious amounts of an industrial disinfectant; it will require high-profile arrests and sentencing of those who have abused their power and positions of trust. But already it is clear that the times are changing. The sentencing earlier this month of former Western Cape Commissioner of Police, Arno Lamoer (whom Phiyega had warned about an investigation into his corrupt activities), to an eight-year jail term (with two years suspended) on charges of corruption is the first time since 2010 that a high-profile officer has gone down since since former National Commissioner Jackie Selebi’s conviction for fraud. Sending such a senior police officer to jail sends a powerful signal to corrupt cops that this will no longer be tolerated. Former KZN Hawks head, Johan Booysen,who was shafted by Phiyega, KZN Commissioner Mmamonnye Ngobeni and Mdluli told Daily Maverick that Lebeya’s appointment “is a good decision and well deserved”. “He has come through the ranks. He understands the phenomenon of organised crime. His main challenge will be to undo the mess Berning Ntlemeza left behind,” said Booysen. Forensic investigator Paul O’Sullivan, founder of Forensics for Justice, an NPO, also welcomed Lebeya’s appointment.